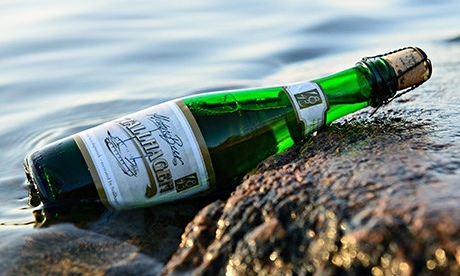 Belgian scientists have successfully recreated a 19th-century beer that was discovered during the search of a shipwreck off the coast of Finland in 2010. The bottles had lain 50 metres underwater since 1842. The government of the autonomous Åland Islands called on researchers at Belgium’s KU Leuven’s Brewing Technology Research Group to analyse the antique brew. Following several years of reconstruction work, a Finnish brewery is now marketing what it claims is an accurate recreation of the beer. Stallhagen is ready to introduce the unique flavour to the international market, whilst producers in Belgium gear up to mass-produce the 172-year-old liquor with a price tag of €113 (£89) a bottle. “Based on the micro-organisms in the bottles, we were able to figure out which type of yeast and bacteria were used by the beer’s 19th-century brewers. This information allowed us to trace the beer back to Belgium,” said De Rouck.